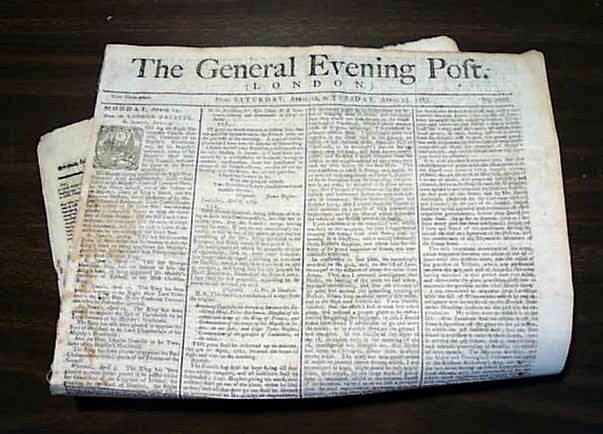 Item # 208967 THE GENERAL EVENING POST, London, 1783 A nice "typical" folio-size newspaper of 4 pages from the concluding year of the Revolutionary War, the year in which the Treaty of Peace was signed. There is a wealth of news of the day on the front page and inside pages with some ads scattered throughout as well. Some wear at the margins, various light browning & mild wear, generally good. 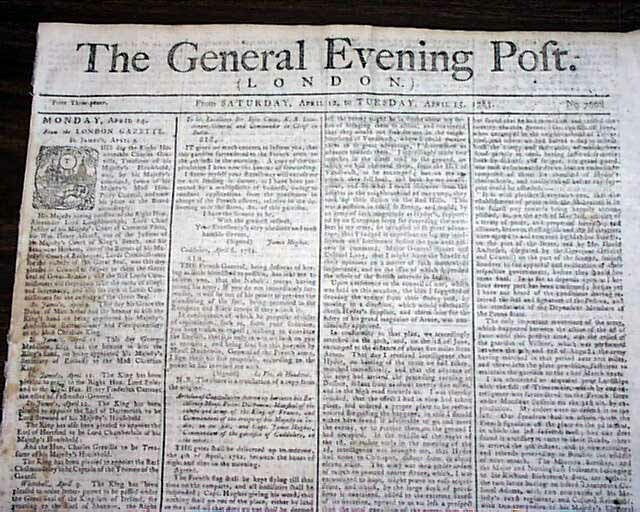 The photo below is "generic" however the issue you receive will have a similar look and will be dated 1783.